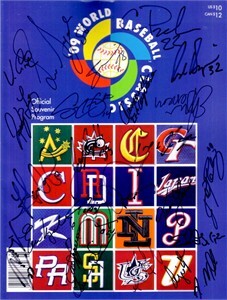 2009 World Baseball Classic program autographed in black marker on the cover by Team Mexico manager Vinny Castilla plus 24 players and coaches: Luis Ayala, Jorge Campillo, Elmer Dessens, Rodrigo Lopez, Oliver Perez, Dennys Reyes, Ricardo Rincon, Francisco Rodriguez, Joakim Soria, Rod Barajas, Jorge Cantu, Adrian Gonzalez, Edgar Gonzalez, Agustin Murillo, Augie Ojeda, Oscar Robles, Freddy Sandoval, Jorge Vazquez, Karim Garcia, Scott Hairston, Cristhian Presichi, Armando Reynoso (coach), Ever Magallanes (coach) and Teddy Higuera (coach). 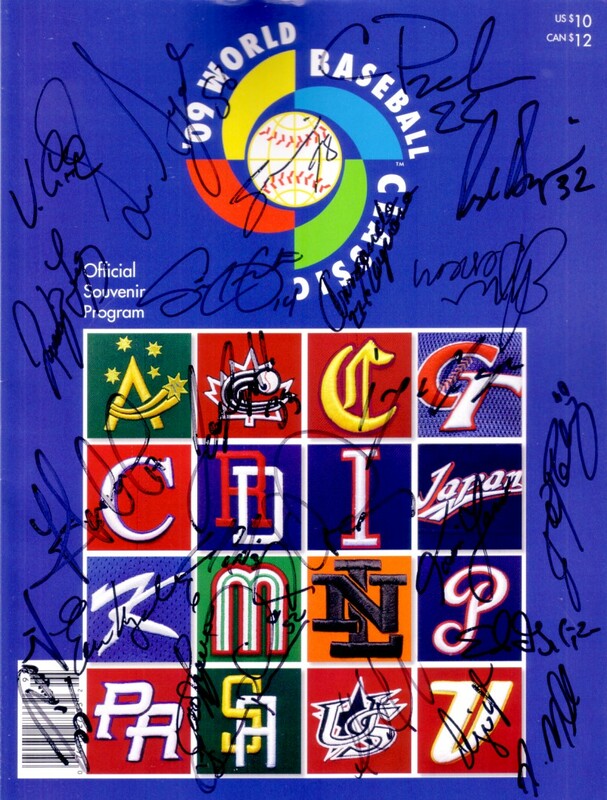 Buyer will receive roster marked with every autograph on the program. With certificate of authenticity from AutographsForSale.com. ONLY ONE AVAILABLE FOR SALE.